"Horses make a landscape look beautiful." Boarding at Hidden Hills is the natural choice for both horses and their owners. Horses enjoy natural living on large, well-maintained fescue pastures safely enclosed with horse-friendly fencing. Every pasture has mature trees for shade and protection, and horses always have access to fresh water and a mineral salt block. Most of our boarding is self-care, which encourages a relaxed, hands-on environment for the whole barn “family”. Owners have access to all riding areas, including the standard small dressage arena, outdoor riding/jump arena, indoor riding arena, round pen, and trails. The eight-stall remodeled Milk Barn is available for feeding and occasional bad weather or emergency use. There is also a wash area and hitching rail at the Milk Barn. Boarders are welcome to enjoy the farm with their families and friends for “non-horse” purposes, with permission from management. Up to 20 horses roam a rotation of two large 15-30 acre pastures and woodlands across the road from the main facility. A small tack shed is available for minimal tack. Boarders have access to main facility and riding trails. Two regular herds of 12-14 horses occupy the pastures near the Milk Barn and riding arenas. Boarders have space in the Tack Room to store a limited amount of personal gear and tack. Stalls are available for emergencies or occasional short term use at $5/day (no charge for just feeding or grooming). Boarders have 24/7 exclusive access to a 10X10 Private Stall, with turn out into one of the regular pastures at your convenience. Shavings and hay are included. Boarders are responsible for all turn out, feeding, haying, and watering for your horse, and for keeping the stall mucked daily and stripped regularly. The health of our horse herds is important to us. 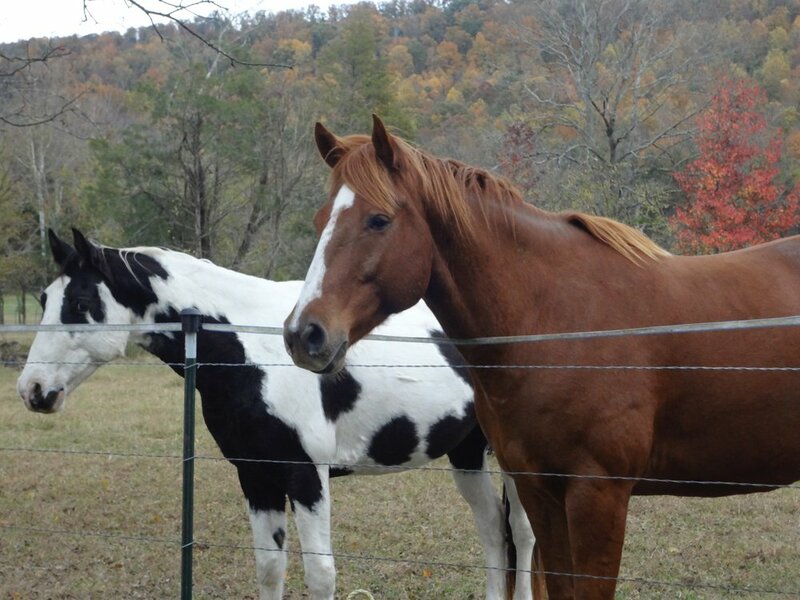 We provide horses with fresh water, grass/hay, and salt blocks in the field. Our goal is to keep the pastures as productive as possible during the growing season, usually April thru October. We make most of our own hay during the summer, and during the winter months (usually November thru March), we feed hay daily to the horses at a general rate of 1/2 bale per horse per day. Any other feed is the responsibility of the boarder. We also require regular preventative health measures for all horses on the farm (see here for specific health care requirements). WOULD YOU LIKE TO BOARD WITH US? Contact Tara at 423-488-3993 to schedule a time to see what Hidden Hills has to offer. If you are accepted, fill out our Boarding Agreement and schedule your move date.